and start saving right away. No personal information required to use the card. Use Chicago Rx Card at your local pharmacy today. Save up to 80% on over 60,000 prescription medications. up to 80% off your prescriptions – NOW. Accepted at over 59,000 pharmacies nationwide. 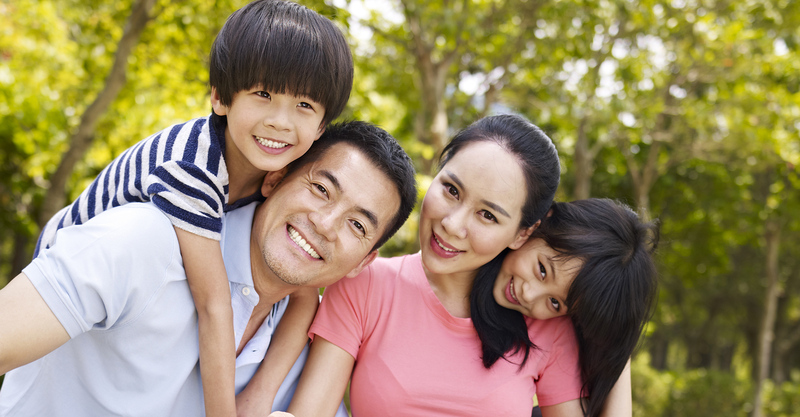 Are you uninsured or underinsured? 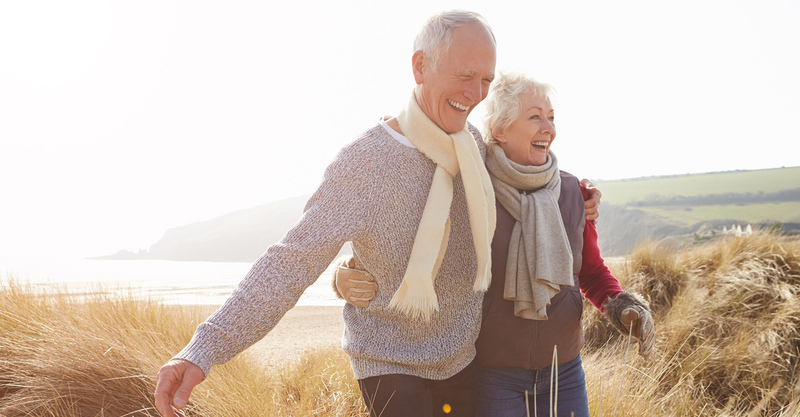 Chicago Rx can help you save up to 80% on your prescriptions today. Let Chicago RX Card fill in the gap. 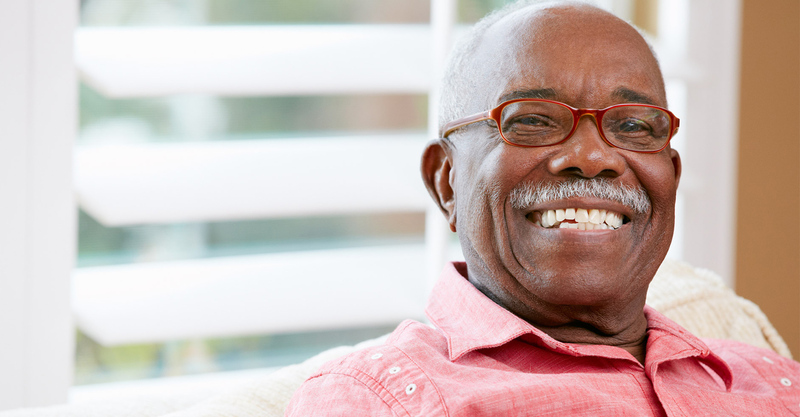 Use your card for savings during the Medicare coverage gap. Are you planning a trip to the pharmacy soon? Click the button to print your card today. Standing in line at the pharmacy? Click below to receive a text of your card information. 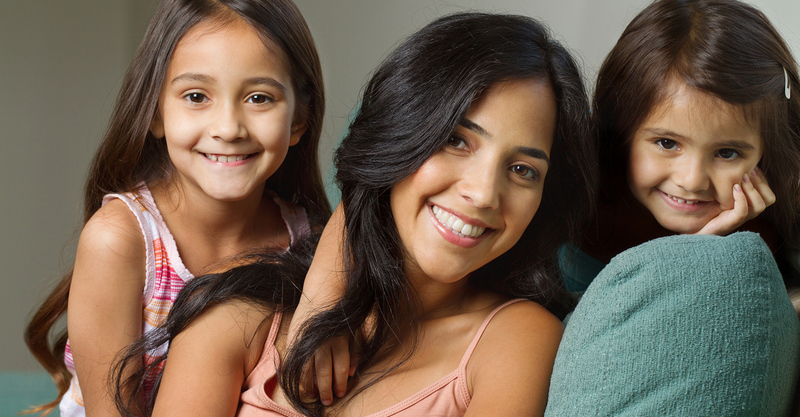 Thinking of a friend or family member who would benefit from saving up to 80% on prescriptions? Click below to email the card. 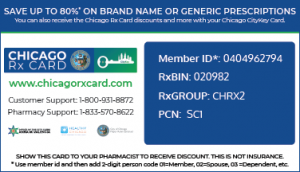 Use the Chicago Rx Card to save up to 80% on your prescriptions today. The US Pharmacy prescription card is a free and easy way to save up to 80% on prescription drugs. * No registration or pre-qualification needed, simply click below to print, text, or email your card today. 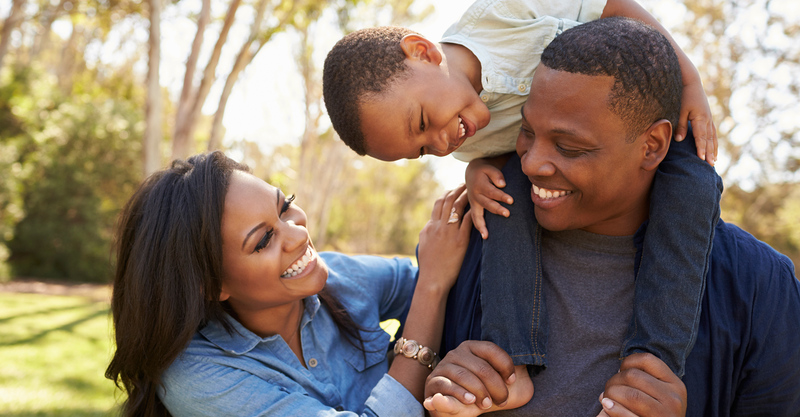 The Chicago Rx Card offers prescriptions savings options while improving health outcomes. The Chicago Rx Card is owned and operated by Financial Marketing Concepts (FMC) click here for information. Get up to 80% off drug prices! FREE and easy to use. No qualifying or personal information required. Already have a Chicago CityKey? 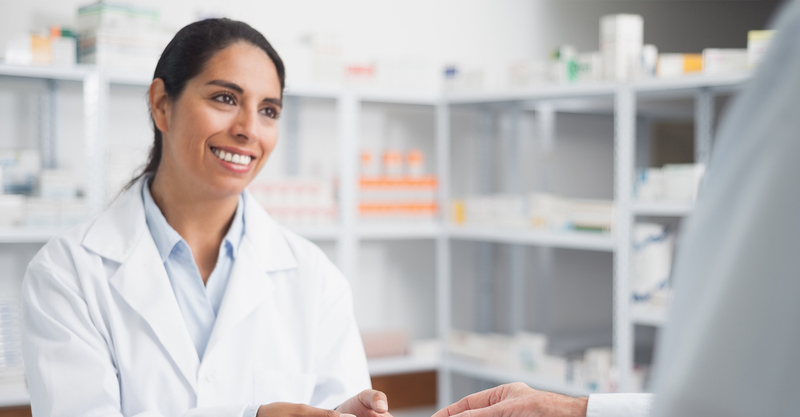 You can simply show the RxBIN, RxGroup numbers on the back of your CityKey card to a pharmacist to receive discounts on your prescription medication. 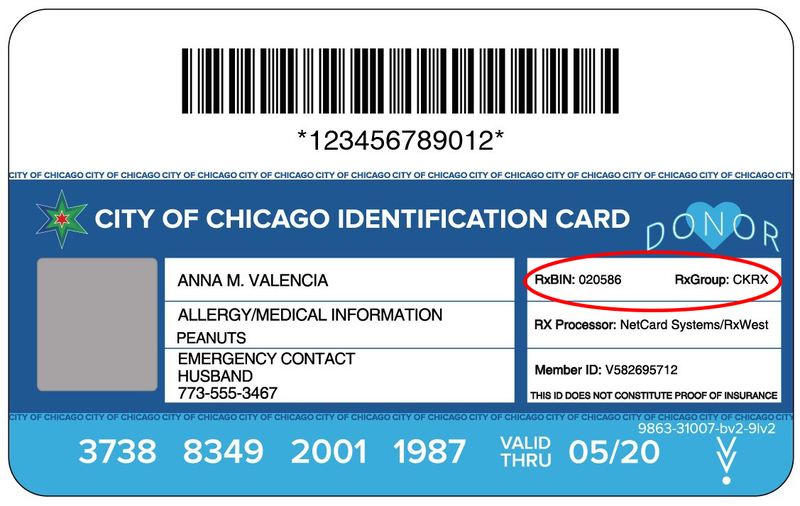 The CityKey is an optional, valid, government-issued ID card offered to all Chicago residents regardless of a person’s health, age, immigration status, housing status, or income. 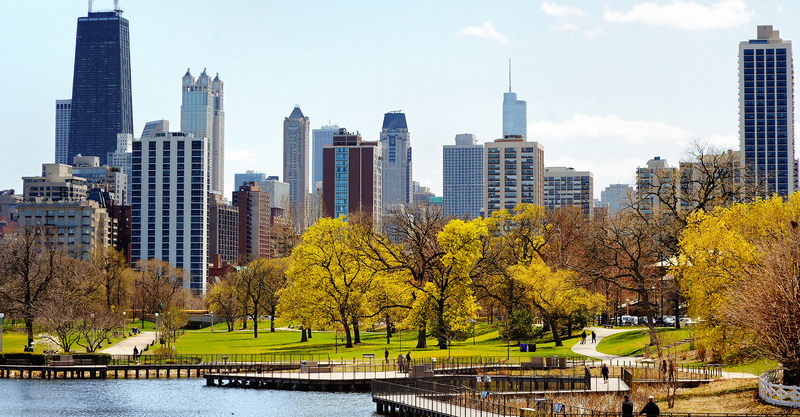 With your CityKey, you can start unlocking all of the great things Chicago has to offer. 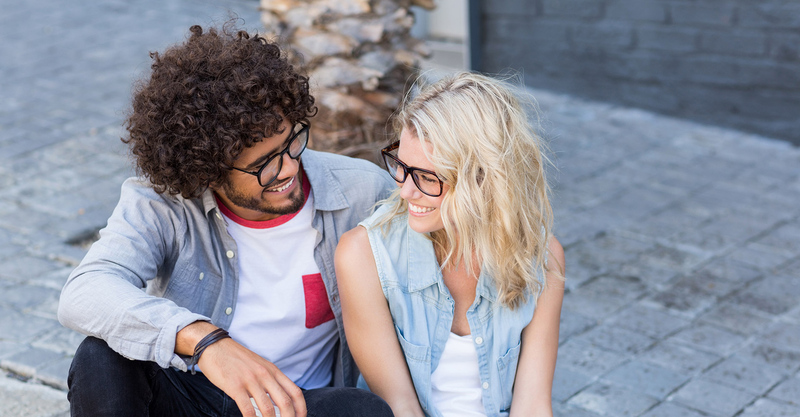 Your CityKey not only gives you the peace of mind that comes with having a government-issued ID, but it also gives you the opportunity to explore the incredible city you call home. Unlock Chicago and learn more about how you can get one by clicking here.